If you are an off-highway motorcyclist with several years of varied riding experience and good communication skills, you may qualify to become a MSF-certified DBS Coach. If you qualify, you will need to complete an intensive DBS Coach Preparation (CP) course in order to teach. During the Coach Preparation course, you will learn the fundamentals of teaching the Closed Range Exercise (CRE) course, which is the beginning dirt bike rider course. What qualifications do I need to become an MSF-certified DBS Coach? You must be at least 18 years of age and be an off-highway motorcyclist with several years of varied riding experience. You will need to have good communication skills and required to teach at least two DBS courses in a one-year period to maintain the certification. Who conducts the Coach Preparation course? MSF-certified Coach Trainers conduct the course. They are specially trained DBS Coaches who have completed intensive training and are authorized to train candidates for MSF DBS Coach certification. The Coach Preparation course is to help you understand the special elements of teaching the Closed Range Exercise course, which is the beginning dirt bike rider course. The Coach Preparation is a 4-day course that typically runs Thursday through Sunday. First, you'll be required to pass a riding-skill test. Then you practice teaching in the classroom. From there you learn how to manage the range exercises and how to evaluate and coach students as they develop their riding skills. At the end of the training portion of the course, you'll be given a knowledge test. You must pass it to continue in the program. Finally, you and your classmates teach a complete DBS CRE to a group of new riders. The Coach Trainer will evaluate your teaching performance as part of the completion requirements. When is the DBS CP course offered? Typically, a CP is offered when there is a need for Coaches in a particular area. Regularly scheduled Coach Preps are offered in Arizona, California, Georgia, Ohio, and Texas. We also offer on-site Coach Preps. What does the CP course cost? The cost for tuition and materials is $690.00. Candidates will receive an MSF DBS Coach Guide and range cards. All travel expenses related to the course are the responsibility of the candidate. If you enroll in the DBS CP course, be prepared to ride! Every day! We prefer that you bring your own full off-road gear. 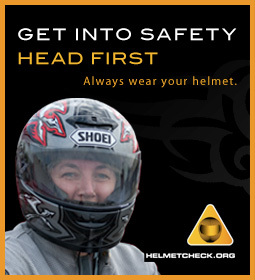 However, if you do not own off-road gear, you will need a DOT-approved helmet; over-the-ankle, sturdy leather footwear; long pants; long-sleeved shirt or jacket; and full-fingered gloves (preferably leather). Be prepared to set aside time during off-class hours to study. This is an intensive program that requires a lot of work and concentration. Do not enroll unless you can attend every class meeting. The MSF highly recommends you complete a DirtBike School CRE before taking a CP course. Download and complete the application below and send it to the MSF address on the form or call 888.OFF.HWY1 (888.633.4991) and select option 2.